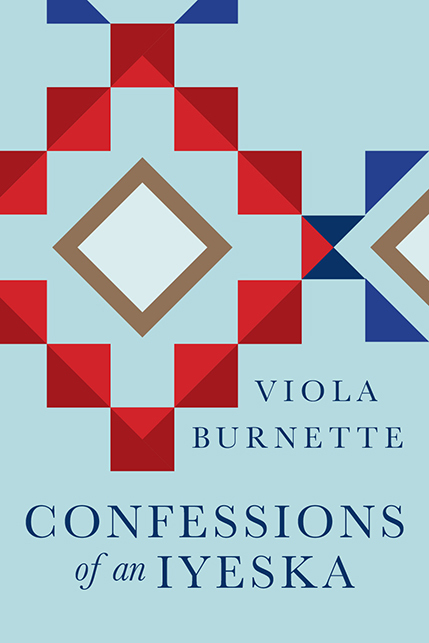 In this autobiography, Viola Burnette braids the history of the Lakota people with the story of her own life as an Iyeska, or mixed-race Indian. Bringing together her years growing up on a reservation, her work as a lawyer and legal advocate for Native peoples, and her woman’s perspective, she draws the reader into an intelligent and intimate conversation. The Fort Laramie treaties of 1851 and 1868 changed everything for the Sioux. When Burnette was born on the Rosebud Indian Reservation in the late 1930s, her people were still striving to make sense of how to live under the impoverished conditions created by the imposed land restrictions. Like most Native children at that time, she was forced by federal law to attend boarding school and assimilate into white culture. Her story reveals the resulting internal conflict that she and her people faced in embracing their own identity in a world where those in authority taught that speaking Lakota and being Indian were wrong. After a difficult jump into adulthood, Burnette emerged from an abusive marriage and, while raising four children, enrolled in junior college in her thirties and law school in her forties. She went on to become an advocate for women subjected to domestic violence and the first attorney general for the Rosebud Sioux Tribe. Borne out under the far-reaching effects of the government-enforced restructuring of her people, Burnette’s inspiring narrative of strength and determination makes clear the importance of understanding history from a Native standpoint. Viola A. Burnette (1938 - 2016) was born and raised in South Dakota on the Rosebud Reservation. A graduate of the University of New Mexico School of Law, she provided legal services to the Flandreau Santee Sioux Tribe, the Rosebud Sioux Tribe, and others. Burnette was the first attorney general for the Rosebud Sioux Tribe and was part of the South Dakota Coalition against Domestic Violence.